Growing up is a mess. There are responsibilities to tend to and relationships to untangle. But, growing up is also a gift. There are the friends you can call at 4 a.m. and lessons to extract from beautiful disasters. In this collection of short essays, Tyece Wilkins chronicles the coming-of-age journey that she first began sharing on her former blog Twenties Unscripted. Whether she’s questioning society’s obsession with engagement rings, carving out her path as a writer, or reeling from unrequited love, Wilkins delivers wit and grit. 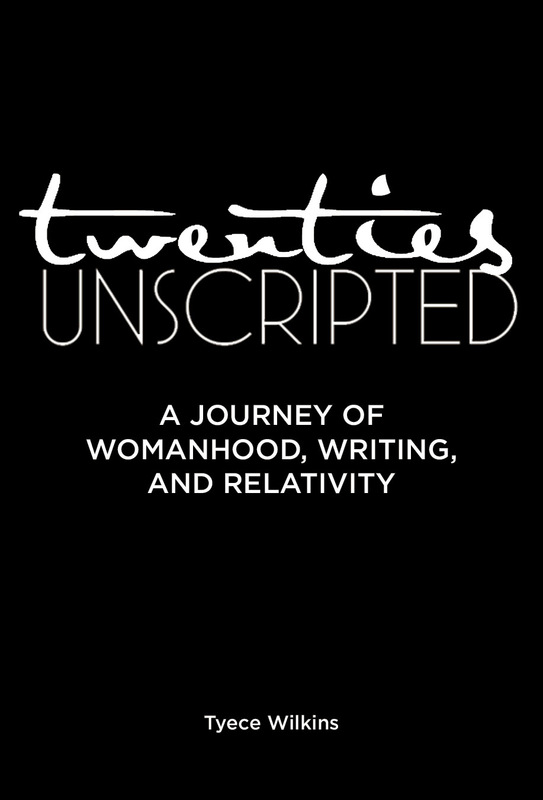 Twenties Unscripted: A Journey of Womanhood, Writing, and Relativity is for any woman with the audacity to challenge convention, the resolve to trust her gut, and the courage to own her mistakes.